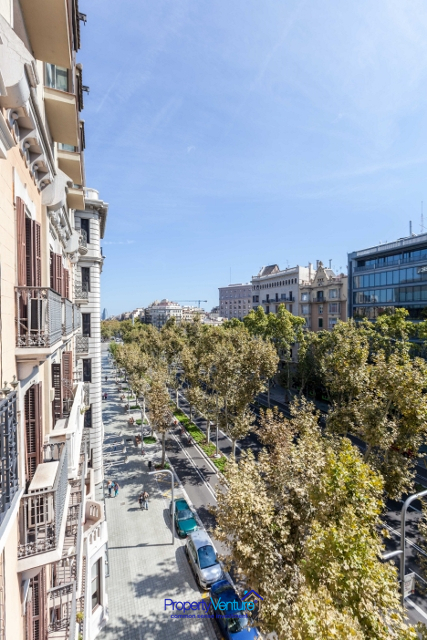 This elegant, newly-renovated, apartment at the heart of Barcelona is a stunning buy. With a lovely corner aspect giving a birds-eye view of the city, it is pretty unique. Take a look. 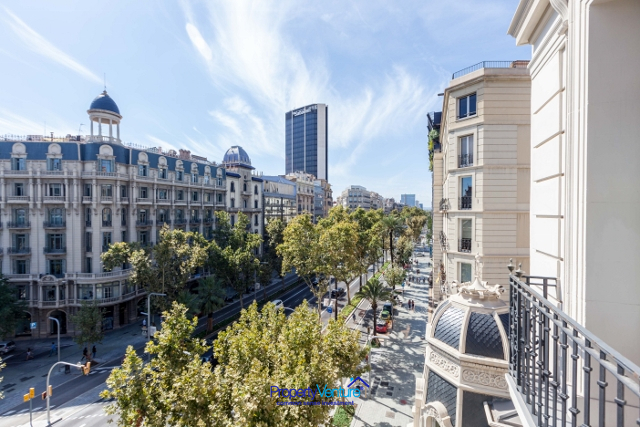 This luxurious apartment is very centrally located at the cross section of Rambla Catalunya with Avenida Diagonal. Roomy and spacious it has a living area of 115m2 and was completely renovated just over 12 months’ ago. It is finished in a tasteful, modern, minimalist manner, which is turn-key ready for making into a home. The apartment’s layout is designed for modern living, with a spacious living room for relaxation, adjoining and connected to the dining area. There is also a snug area that provides a separate area of privacy. 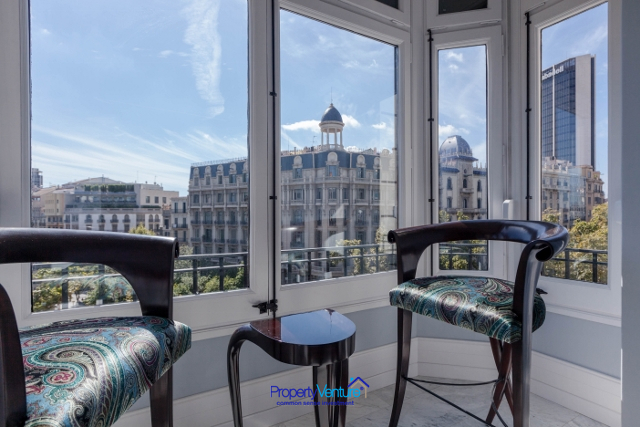 This spectacular apartment has high ceilings with typical handcrafted finishes and has a privileged position and view overlooking the Diagonal Avenue from its wall of windows, providing 180 degree views, one of the most charming corners of the property. 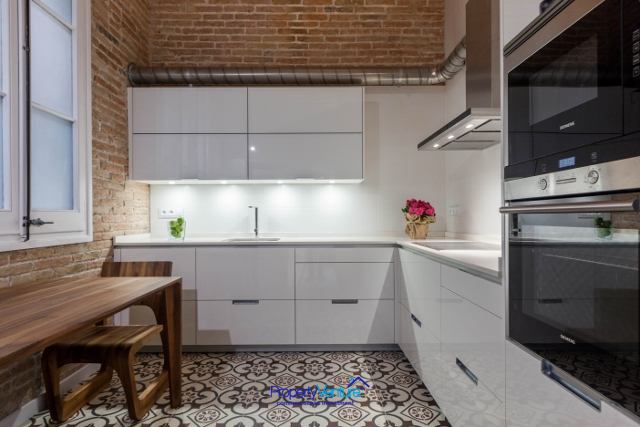 It has air conditioning and a fully equipped designer kitchen with a feature brick wall which transforms the space, introducing plenty of character. 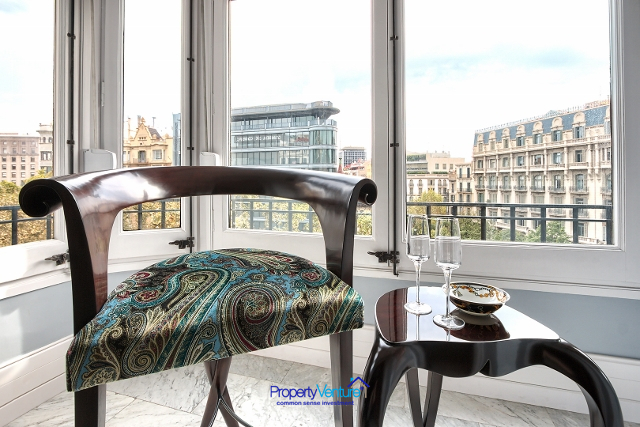 There has been plenty of care and attention to detail in refurbishing the Property. The design and choice of flooring highlights this. 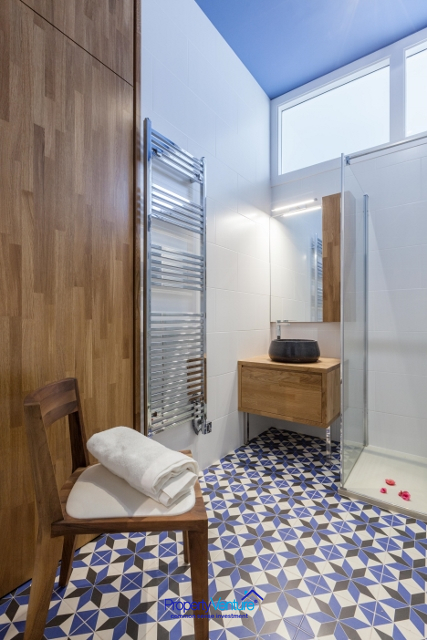 The mix of styles and materials create a contrasting ambience in each of the areas, from stoneware floors in the common areas, to parquet floors for the bedrooms and vintage-style tile floors for the bathrooms and kitchen. 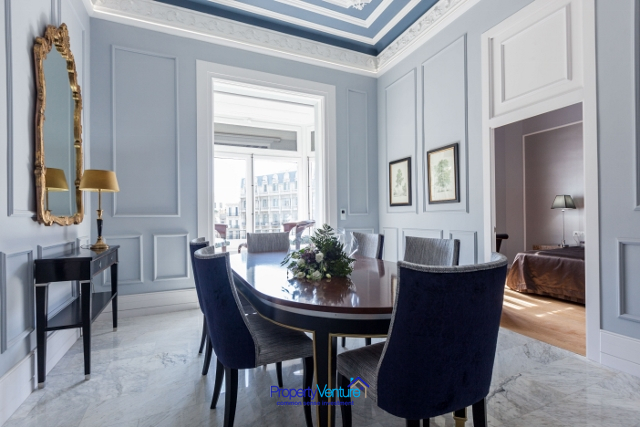 Even the detail and finish of the ceilings oozes style and character. It has an en-suite bedroom and a second bedroom. 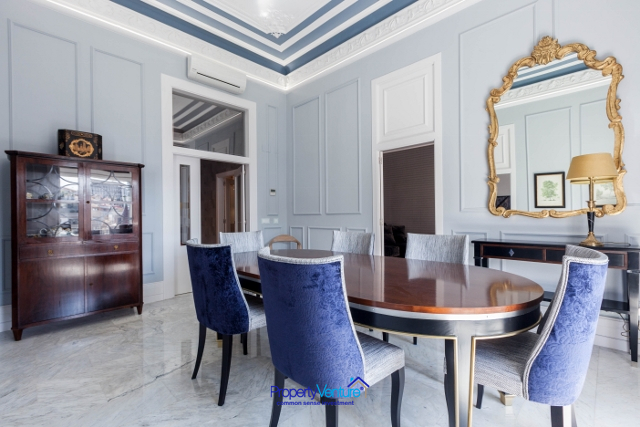 Every last detail has been thought through to make this a sumptuous and stylish, central Barcelona home.